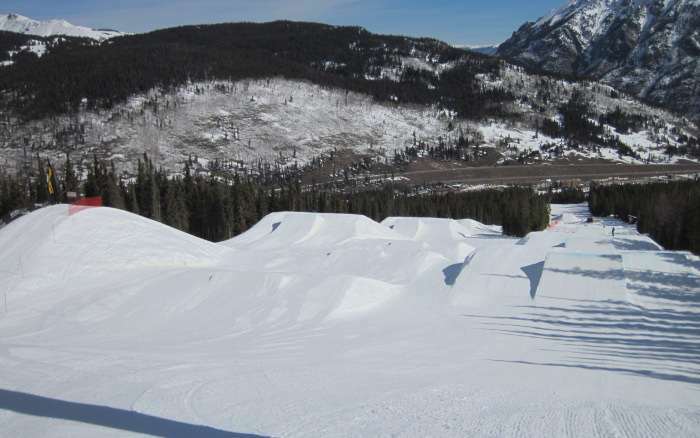 The terrain parks at Copper Mountain are run in conjunction with Camp Woodward. Woodward maintains all of the terrain parks at Copper and they have an indoor sports barn at the base of Copper Mountain. You can see more details about the barn here: Woodward at Copper. The Catalyst Terrain Park is the largest and most difficult park at Copper. The top section of this park has several medium and large jump lines. The bottom section is filled with rails, jibs and bonks of all kinds. Woodward at Copper also maintains several smaller terrain parks that can be found on Union Peak.